So our car recently failed its MOT and that really sealed the deal that we need to purchase a new car soon. Whilst the thing it failed on was easily fixed, the garage mentioned that there were going to be a few potential issues coming up in the future which weren’t that bad now but could become worse. It is going to work out far too much to fix in the end – our car is ten years old now – so we’ve decided to bite the bullet and pick something new. It can be hard to work out what you want from a car though. We know we want a fairly large boot and that it needs to be at least a five seater – no zippy little two seaters for us, you know! It needs to be a real family car but I am reluctant to go walking around numerous dealerships and car lots trying to find the perfect vehicle like we did with the car we own now. I’ve been looking for a good resource to help us work out what car or cars we need in our life. Cars.com is such a resource. You can search by make or body style, read specs and reviews on cars you like the look of and even find service centers and dealers near you for when you’ve made that choice. No walking round various dealerships trying to find the perfect one – you can make the decision online with a few searches and a few clicks of the mouse! The expert reviews really help to cement your decision – I’ve already got only a handful of cars in mind now but of course, I am not the driver! I’m getting Steve to look and see if we can agree on a make and model that would suit our family best. Have you checked out Cars.com yet? If not, why not? You may just find the perfect car for you! I come from a betting family but I have always stuck to what I know. Lottery, bingo, horse racing and greyhounds was as far as I would stray but I knew family members and friends who were much happier to give casino games a go. Casino games can be a lot more fun to enjoy and pump up the adrenaline a lot more than a simple game of bingo so I was excited to give CasinoEuro a try and have a go at their casino games. I was given the opportunity to give the site a try with a bonus applied by the site themselves and to see how I fared on their slots and live casino games. I find playing bingo games a lot of fun so I was hoping for some of the same feeling when using the slot machines and live casino. I chose to play in the evening when I was relaxing after the children had gone to sleep. That time is mine and Steve’s time and if he is watching one of his TV shows that I am not that interested in, this gives me plenty of time to do some stuff for myself. It is so relaxing to sit there playing a couple of slot games with a drink at your side and the recliner up – everyone needs a little bit of relaxation time, right? I always thought that online slot games had to be played with large amounts of money but this isn’t the case. You can play as responsibly as you like – setting the bet from as a little to as much as it would allow. I often stuck with the lowest bet of 1p which usually equaled to 25p per spin. You can raise this up if you feel you are responsible enough with your money to do so though. I’ve of course played the odd game of Blackjack with friends but I have never been to a real life casino nor have I played casino games online. Poker and Baccarat have always been a little confusing for me but the Live Casino makes for a fun experience as I learned the game as I played. What I found great about CasinoEuro as a brand is that you can also play on the go. I may choose to sit at home and use my laptop on the sofa – relaxing when the kids have gone to bed – but knowing that I can access my account and play from my mobile or tablet when elsewhere is great – whilst I may personally be unlikely to do so, it means people can pass the time doing something they find fun. I will definitely be using the site again as it has plenty of games to keep me occupied when I am looking for something to do and don’t mind playing a little bit of my own money. I can have a go on some slots or try a few of the casino games – the choice of games is endless. You can check out the site’s Facebook page here and perhaps even have a read of their blog? As with all forms of gambling, you do stand the chance of losing all the money you have put in so it is important to know your limits should you decide to play and know when to stop. Steve and I have been together over eight years now and to be quite honest, date days or nights don’t happen all that often, especially now we have two kids. The most we generally get is a night on the sofa watching a film, haha! That being said we used to visit a lot of different places on dates in the early years. We are lucky to live in a gorgeous area and there is so much to see and do. There are such lovely places in Hertfordshire to take your date and here are my top five child friendly places to take your loved one. If Harry Potter is a big passion of yours and your date, why not head to the Harry Potter tour? Despite living just down the road from it, we still haven’t actually visited it but it is the perfect choice to go and spend a couple of hours with someone you enjoy spending time with. Royston Cave is a cave of unknown origin that was stumbled upon by accident. If you love the more spooky things, a day out here during the summer months would be a perfect date. You could spend time taking a look at the cave walls which depict scenes such as the crucifixion of Christ and other Christian symbology. You will have seen all the blogger photos of their children in the lavender but it would also make for a perfect date with your loved one. It is a lovely place to take a stroll around no matter what age you are (if you are trying over 50s dating, this would be a great date idea to suggest!) and it is so peaceful. You can even head to the little shop and restaurant if you like. The theatre is a great date so maybe check out the shows that the Colosseum has to offer? Staging live music, comedy and even kids shows such as The Tiger Who Came (perfect for others interested in single parent dating as you will have plenty to talk about). If you want something free (donations accepted though) to do in Hertfordshire that is something a little more unique than your usual date ideas, then why not head to Tring Natural History Museum? It is very interactive, has a cafe on site and is a great date idea if you want to try something a little different. Perfect for kids! These are my top five unique date ideas for Hertfordshire – do you have any other places you would suggest? As of right now, the only people that have ever looked after my children apart from me and Steve have been our parents or a select few friends. The odd parent from school picked up and looked after Jack in the first few days of Olivia’s life when I was stuck in hospital waiting rooms waiting to see if I had a clot but other than that, it has always been someone close to us looking after our children. But what happens when the people you usually rely are on are away or are actually coming with you? This year I have got a few parties, hen nights and weddings to attend; the majority of which where children are not invited. Usually we would ask our parents to keep an eye on the kids for a couple of hours – for instance, Steve’s parents had Jack overnight when we went to the Murder Mystery event and then my Mum has looked after him when we took Steve’s parents out for a meal. This past week however could have been disastrous – luckily Steve and I had nothing planned but my Mum had gone away with my aunt, Steve’s dad was away on a golfing holiday and Steve’s brother was away in Spain. Steve’s mum had no car as both the men had taken the cars – if we had needed anyone to have the kids, our parents certainly wouldn’t have been the answer that week! With so many events on the horizon, I’ve been looking into alternatives. I’ve not yet let people outside my family or circle of friends look after my children but I have plenty of friends who work in nurseries or as private nannies who babysit for local children so I have an idea of how it works. I’ve been taking a look at the Sitters.co.uk site (http://www.sitters.co.uk/find-a-babysitter) to find local childcare providers in my area with good reviews. I want to know that there is somewhere I can turn should the need arise. Searching for a local sitter couldn’t be any easier. You start by entering your postcode which sets up your free account. You can then read reviews of those who are local to you. You can then book your childcare online – just select the details and away you go. You can also choose the local providers that you’d prefer your bookings to be offered to first and then the provider will call you before the booking to work out details. Payment is made at the end and rates start from just £7.50. Until you have used the site, you won’t be charged anything. Only after you’ve made a booking and it has taken place will you pay a booking fee (ranges from £4-£6) and a quarterly membership fee of £14.95. A small amount of money to ensure your child is being looked after properly, right? I’ve searched my postcode and found the recommended babysitters in my area. 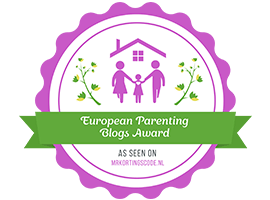 I’ve found a few I’d heard of on the parenting grapevine in my village and a few that are new to me with fantastic reviews. I can also see that various families in my village have used the site with great success which gives me confidence in what they have to offer. You can see how many times they have sat for families in the area and check out the feedback they have received. They’ve also got a blog with some great birthday cake ideas for girls. Whilst I am happy to continue using my family for help when it is possible to do so, I am definitely going to be keeping Sitters in mind for the future for those occasions when they aren’t able to help or are attending the same thing as us – it is always good to have a back up plan. Who do you get to babysit for your children? When it comes to summer, no one wants to be covered up. When I was younger I loved nothing more than wearing short dresses or short shorts and strappy tops – who wants to overheat in the sunshine? Since having the kids, however, I haven’t been as confident in my body and so wearing stuff like this has fallen by the wayside, even if I do love wearing them? With the plan to lose weight well underway and to get confident in my body again, I’ve been looking at some short dresses to give me some more motivation to be happier in myself for summer. I hate being wrapped up in the summer but when you don’t feel confident in yourself, what else can you do? I want to break that wall down and adding some new dresses to my wardrobe is a surefire way to do that. After having Jack, I went through my wardrobe and got rid of all my clothes like this; something I bitterly regret now. Some of those dresses held so many memories and I just tossed them out, knowing I would probably regret it later on. Clearing out and updating my wardrobe is my big thing for the next few weeks. I’ve been decluttering like mad to 1) get rid of stuff we no longer need to make space for our new sofa and 2) to make some extra cash. I’m going to go through all my clothes and perhaps put the decent stuff I no longer want up for sale for cheap and then use the money towards some summery clothes for the season ahead. I need to get some summery short dresses back in my wardrobe and get back to wearing them again and feeling good in myself. Only I can do it though – wish me luck!